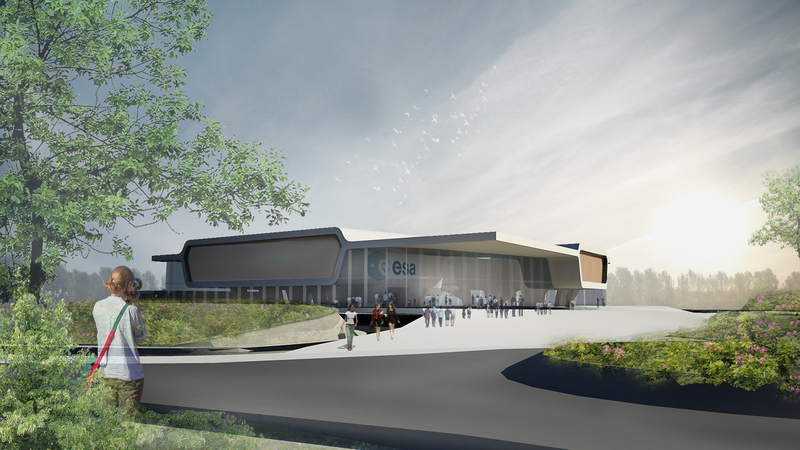 The team of AHH and ABT has acquired the commission for the finalization of the master plan of ESTEC 2 (European Space and Technology Centre).The commission includes the design of a Multipurpose Meeting Facility and general Purpose Infrastructure. 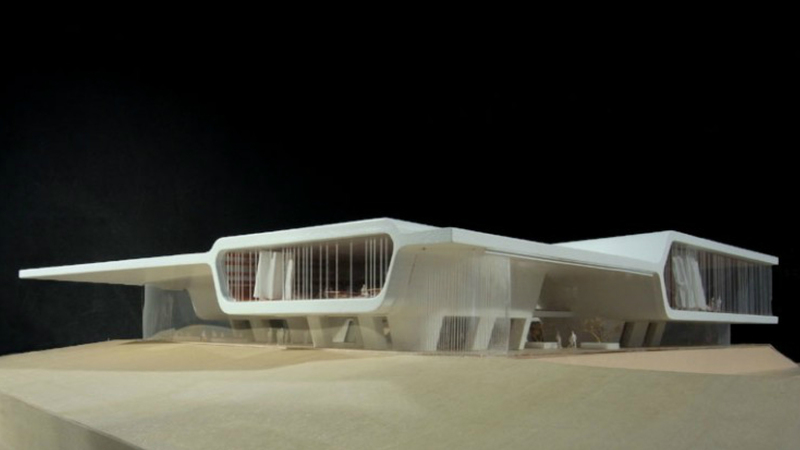 The building will be self-sufficient and has no carbon emissions. 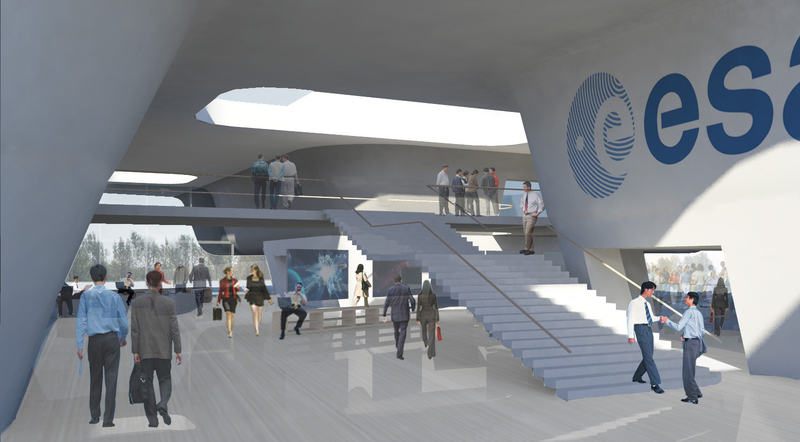 The design clearly expresses the identity of ESA with its inviting shapes and transparent layout in which the large conference rooms are positioned as self-sufficient Pods. The ground floor may be read as a large covered square. There is contact on all sides with the environs of ESTEC 2. 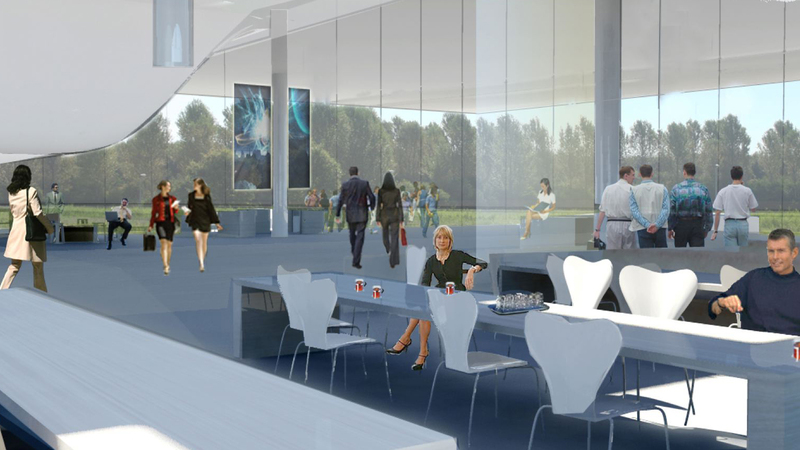 Covering this public area is a canopy roof, housing the conference facilities and meeting rooms. 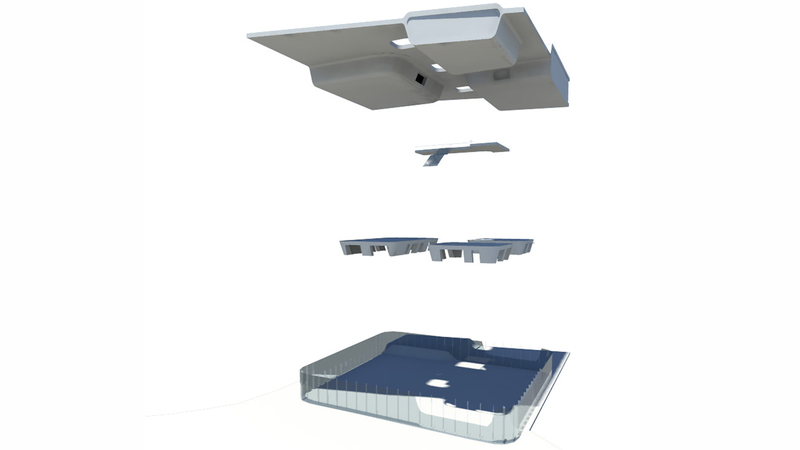 The roof is supported by a number of pods on the ground floor containing the service areas. All of the large supporting areas such as back-stage functions are located in the basement. 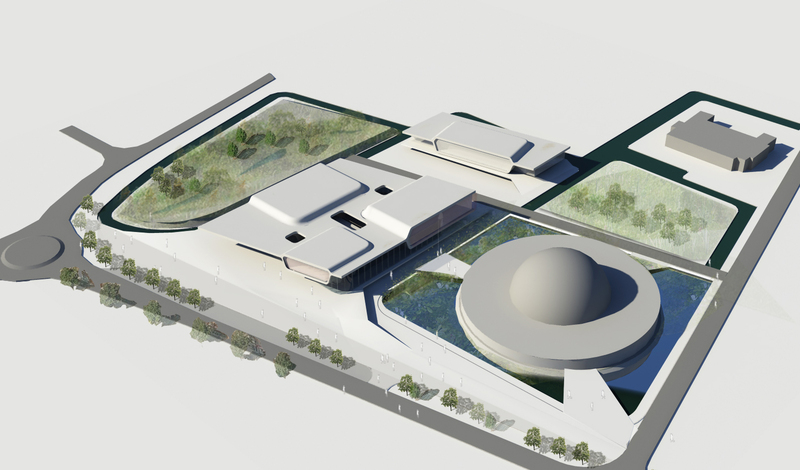 The project includes the design of a Multipurpose Meeting Facility and general Purpose Infrastructure. 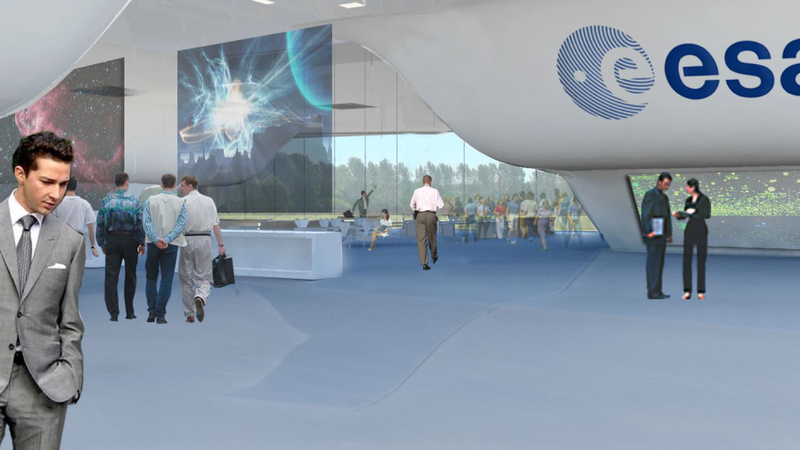 Masterplan voor de uitbreiding van ESTEC (European Space and Technology Centre). 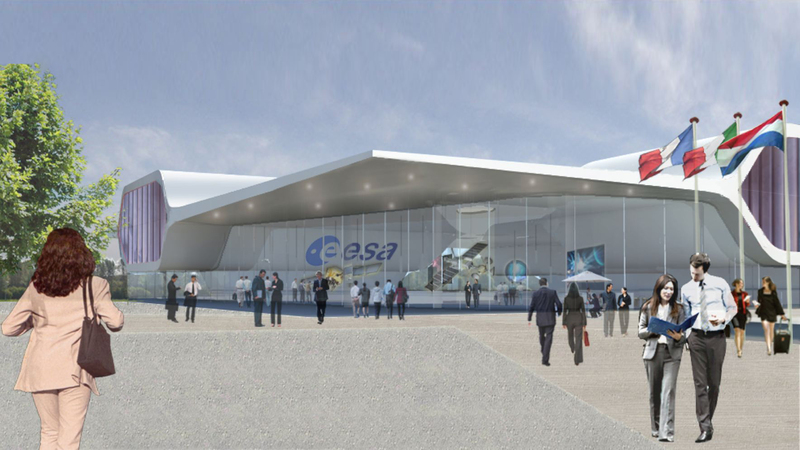 De opdracht omvat daarnaast het ontwerpen van een Multifunctionele Congres Faciliteit (MMF) en de algemene infrastructuur voor ESTEC 2. Het gebouw zal CO2-neutraal zijn. De congreszalen zijn gevat in een akoestische en bouwfysische schil en functioneren autonoom in energetisch opzicht. 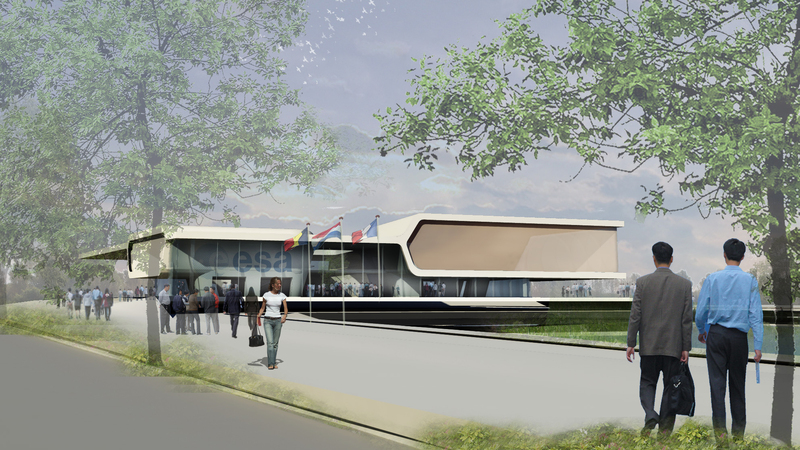 Het MMF zal de identiteit van ESA/ESTEC verder versterken en uitdragen. In de toekomst kan dit deel van ESTEC verder worden uitgebreid met een gebouw voor het ontwerpen, simuleren en testen van Maan / Mars expedities.